Spiritual success does not come from adopting worldly standards. This is not saying that all worldly standards are bad but to be spiritually successful, we have to look to the one that sets the standard for spiritual success. God is a God of order and e deals with specifics. To begin, we must follow the patterns of God which are found in His word. You will never achieve your purpose unless you have a plan to do so. Having a good plan is not enough to achieve your purpose in ministry. You must also implement the plan. One test of good spiritual success is whether or not it results in the successful achievement of God's purposes and plans. 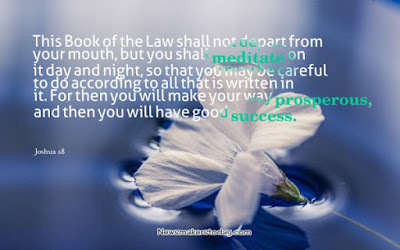 You will only be spiritually successful if you live a holy life, meeting the qualifications as outlined by God. Sin guarantees failure. Holiness assures success. When you compare yourself to anything other than the example of Christ it is not good. Jacob compared Joseph to his brothers and set in motion events motivated by jealousy and hatred. The people of Israel compared themselves to other nations and adopted their wicked ways. Saul heard a comparison of himself and David and was poisoned by jealousy. Comparison may be useful to stretch your vision and challenge you to fulfill your potential. But another person's achievements are not the standard for your life. Your success is not measured in relation to the performance of others. For this reason Peter's question to the Lord about John: "Lord, what about this man", received the rebuke, "What is that to you? You follow me." Peter seeing him saith to Jesus, Lord, and what shall this man do? 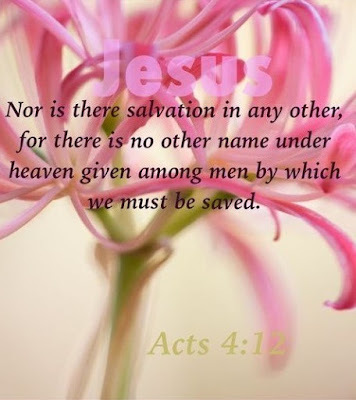 Jesus saith unto him, If I will that he tarry till I come, what is that to thee? follow thou me. (John 21:21-22). Apostle Paul made a decision. He wanted to be successful. He wanted to win the "race" of life. To do this, he realized he must be disciplined, which means to be temperate in all things. He had direction. He did not run or fight aimlessly. He was not uncertain about his purpose or plans. He was also determined to obtain, to be successful. The more successful you are, the more God requires of you. This is the price of success.